If Virginia decision-makers pursue bold options with the billions budgeted for transportation projects, the state could steer the direction of a Northeast coalition aiming to slice emissions of heat-trapping gases on the region’s congested roadways. That’s a heavy — but doable — lift in a state where Democratic Gov. Ralph Northam has led a feisty environmental charge even while Republicans have narrow majorities in both chambers of the General Assembly. In September, Virginia became the first southern state to join the District of Columbia and 12 New England and Mid-Atlantic states that were already members of the Transportation and Climate Initiative. By the end of this year, a majority of those members have agreed to release a regional plan that caps carbon emissions from the combustion of transportation fuels and invest the proceeds into low-carbon and more resilient infrastructure. Participants include Connecticut, Delaware, Maine, Maryland, Massachusetts, New Hampshire, New Jersey, New York, Pennsylvania, Rhode Island, Vermont, Virginia and Washington, D.C. Emissions from transportation account for the largest portion of the region’s carbon pollution. In Virginia, the sector accounts for roughly 45 percent of total emissions. The transportation compact mimics another cooperative centered in the Northeast — the Regional Greenhouse Gas Initiative (RGGI) — that tackled emissions from fossil fuel-fired power plants. Virginia has also joined that program, again at Northam’s behest. “No state that I’m aware of has yet grappled with transportation emissions, mainly because it’s easier to make progress on stationary sources like power plants,” said Trip Pollard, a senior attorney at the Richmond office of the Southern Environmental Law Center. Virginia could get out in front by setting specific emissions targets and designing a roadmap for progress, said Pollard, who tracks transportation issues for the nonprofit. His organization is pushing state authorities to spell out specifics on funding for electric vehicles, passenger rail, public transit, bicycle lanes and trails, pedestrian paths, and smarter growth that reduces sprawl and congestion. Pollard points out that cleaner energy options received relatively short shrift last summer when the Commonwealth Transportation Board approved a $21.2 billion plan for fiscal years 2019-2024. The $4.4 billion allotted for rail and public transportation over six years was dwarfed by the $16.8 billion dedicated to highway construction. Environmental advocates also have weighed in on a $2.2 billion proposal to improve Interstate 81, which runs the length of the state. 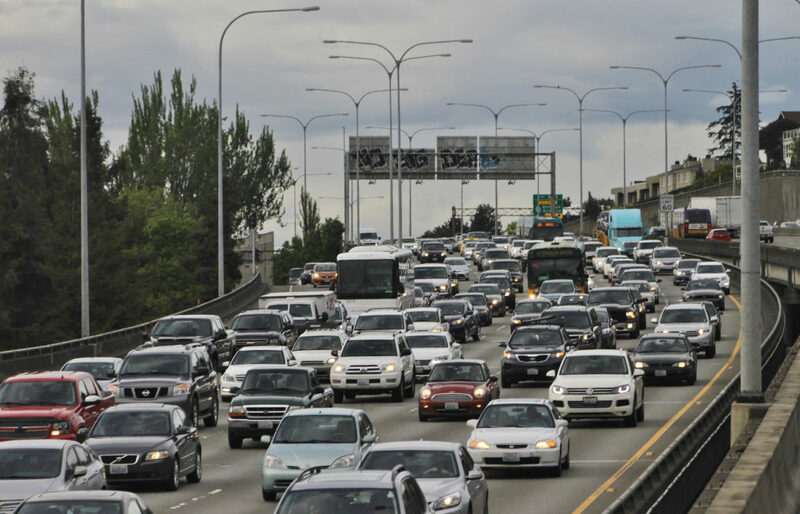 They fault it for focusing on widening the highway, saying it should invest more in passenger rail, freight rail and intercity bus options that provide cleaner travel choices and reduce vehicle miles traveled. The I-81 package was already approved by the transportation board and endorsed by Northam. State legislators are debating how and if to proceed with it. Advocates are pleased that Virginia is dedicating $14 million of its $93.6 million from the Volkswagen emissions test-cheating settlement into expanding its network of charging stations. That’s 15 percent of the total and the maximum allowable under the rules. In fact, the Virginia House of Delegates approved a bill last week that would prevent Virginia from acting on transportation compact initiatives without legislative approval. The Senate has yet to vote on the measure. The House also approved a bill to prevent Virginia from joining RGGI. Both measures were sponsored by Republican House Del. Charles Poindexter, who represents counties in southwestern Virginia. When a transportation compact emerged, some observers criticized the approach as not aggressive enough, while others said it would hurt residents and businesses by raising the price of gasoline and other goods and services. Many companies with operations in Virginia lauded Northam for linking his state with a regional climate initiative. Family-owned Worthen Industries, founded in New Hampshire in 1866, specializes in adhesives and coatings. About 35 of its 300 employees work in its Richmond warehouse and manufacturing operation. The company has invested heavily in rooftop solar power and electric vehicles, and lobbied for charging infrastructure in New Hampshire. Sasseville says Worthen values the compact because it provides a framework for setting and reaching climate goals. He’s pleased that states have the liberty to experiment with an array of emissions-curbing options because answers are often geography dependent. Boston-based Cynthia Curtis, senior vice president of sustainability at JLL, a global real estate management firm with 88,000 employees, agrees with Sasseville that it’s up to states to fill the federal government’s climate void. Neither Curtis nor Sasseville had a specific list of transportation priorities for Northam, but both emphasized that low- and no-emissions vehicles lead to cleaner air even if they don’t reduce traffic volume. She noted that JLL clients are seeking more broad-based health programs. In the meantime, Pollard has his fingers crossed that the states crafting the cap-and-invest transportation framework don’t get bogged down with deal-breaking minutiae.